Hollins could be using this as some sort of a motivational factor for his team, but the fact is his comments are 100% accurate. There isn’t one aspect in this series that favors Brooklyn. Anyone that is still hanging their hat on the “talents” of Deron Williams and Joe Johnson shifting any series, let alone this one, is completely delusional. From a talent base in the starting lineup there isn’t one player I’d prefer to have on Brooklyn over Atlanta. The Hawks are also considerably deeper. Have great ball movement. 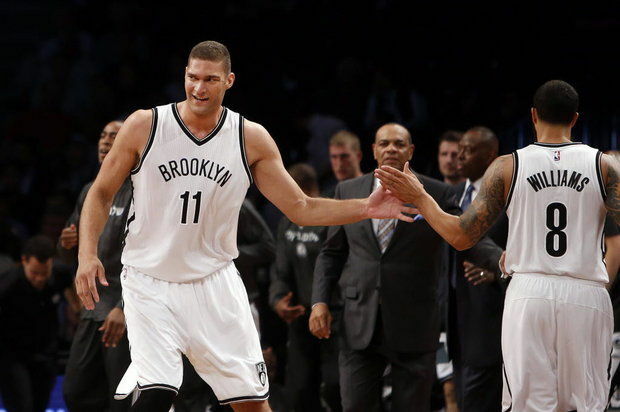 And most of all, they aren’t heartless like this group of Nets players. Barring injury I expect a sweep by Atlanta in round one. The absolute most Brooklyn gets is a game. Tops.